The 20-year old is having a sensational year as a freshman at Duke University and moved up 29 places to an all time high of No 2 for an Irish player following her second playoff win of the season in the ACC Championship in Greensboro last weekend. The Cavan star, who is No 1 in the Golfweek Women's Collegiate Ranking, looks likely to hit World No 1 before the end of the collegiate season. World Amateur No 1 Andrea Lee, the 16-year old Californian who qualified for last year's US Women's Open at Pinehurst No 2 and made the cut, is set to lose points. 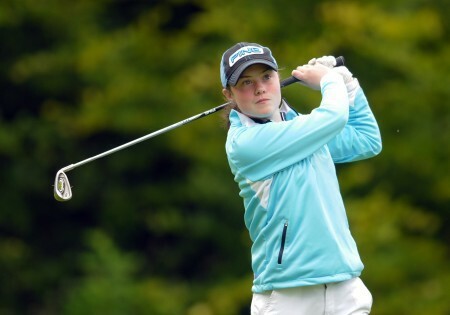 Both Leona and her twin sister Lisa Maguire, who is 834th in the WAGR, will continue to climb now having been unable to accrue any points last year as they took time out to study for the Leaving Certificate. In the men's rankings, The Island's Paul McBride jumped 197 places to 421st following his runner up finish behind Wake Forest team mate Davis Womble in the Yale Spring Invitational.